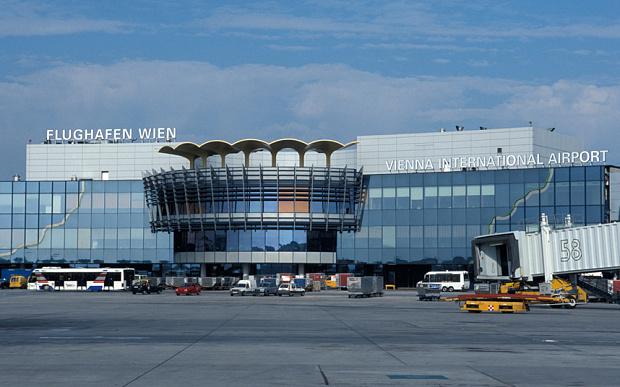 VIENNA, Austria — Whether it involves coffee or cake, a piece of Viennese culture now awaits passengers in the Aïda coffee shop and confectionery located at the check-in in Terminal 1. As the domestic clientele is well aware of, the shop also presents itself to International guests at Vienna Airport in the familiar pink-coloured design with retro elements in the interior area. An excerpt from the menu of the cult coffee house will make some hearts beat faster. The offering ranges from traditional apple strudel and cream cake to a Viennese soup pot. “With the new Aïda coffee shop, Vienna Airport is intentionally focusing on the Viennese coffee house tradition. The large number of Austrian sweet desserts and the different ways of preparing coffee are appreciated by international guests across the globe. For us a top priority is to continuously expand the food and beverage offering for our passengers. In this case domestic specialities should not be missing”, says Julian Jäger, Member of the Management Board of Flughafen Wien AG on the occasion of the Aïda opening. “We are delighted to have the opportunity to spoil guests at Vienna Airport with a piece of Viennese tradition and thus spread a bit of Vienna throughout the world”, says a pleased Dominik Prousek, the fourth generation of the traditional family-run AÏDA coffee shop and confectionery, commenting on the opening at Vienna Airport. “Lagardère Travel Retail is honoured, its capacity as a franchisee, to operate the first AÏDA at Vienna Airport, and looks forward to serving pastries from AÏDA’s production plant in the 21st district to our guests from all over the world in the near future”, says Ursula Fürnhammer, COO Lagardère Travel Retail Austria GmbH. The new Aïda offers guests about 200 m2 of space, including an outdoor area. It represents the 32nd outlet of the Viennese coffee shop and confectionery in Austria and ensures a culinary variety. More than one dozen coffee specialities and a much larger number of cake creations and sweet dishes are available. The legendary Aïda breakfast and savoury snacks round off the offering. In 1913 Josef Prousek and his wife Rosa founded the confectionery named “Aïda”, inspired by Prousek‘s favourite opera from Giuseppe Verdi. Originally “Aïda” was only a confectionery, and coffee was only first offered after World War II. Anyway, Felix Prousek, the son of the company founder, used the first espresso machine in Vienna in the AÏDA coffee house in Vienna’s city centre in 1946. Recently AÏDA has been focusing on expanding nationally and internationally, also by means of a franchise system.